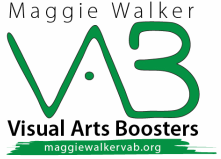 Checks the VAB mailbox for new donations forms, keeps updated membership records, generates interest and solicits memberships at various school events. ​Maintains accurate financial records, signs budgetary requests after approved, submits financial reports prior to each meeting. We also need someone to help us establish 501(c)(3) status - can you help? ​Acts as "the voice" of the VAB! Attends PTSA meetings to support communication between organizations. Promotes VAB events via Smoke and Scales. Night of the Dragon auction chair, POSITION OPEN!!!! ​Attends auction planning meetings and encourages donations of speciality items and events for the auction. ​Plans and organizes travel/art educational adventures near and far! ​Sends out invitations to VAB events; solicits food/drink, set up/clean, etc. for events and exhibit receptions.